Getting your US passport renewed can be an intimidating and confusing experience for anyone. Even if you’ve renewed your own passport before, it was likely some years ago. Chances are, you aren’t aware of all the new online tools and services that make the renewal process far less painful. Passport renewal becomes even more stressful if you already have travel booked. Most of us know someone who was 5 days away from going abroad, only to notice their passport is expired! Also, a number of popular travel destinations like Mexico, Thailand, and Brazil require your passport to be valid for 6 months after your last date of travel in the country, which many people going abroad don’t realize. Luckily, it’s possible to renew your passport on any budget, no matter how tight your timeline. Contrary to popular belief, even if you’re flying in 3 days you do NOT need to pay a 3rd party passport agency (though you may save many hours by doing so). Also, new smartphone apps and services are available to help you save time, money, or both. For example, if you’re keen to save money, there’s a trick to getting ID photos for less than $1. Want to handle your whole renewal at home in your pajamas, and willing to drop some dough to do so? It’s 2019, after all, so of course there's an app for that. The rest of this article will explain all the documents you’ll need to renew your passport, as well as all the best options for every timeline and budget. You can find information on each of these options, as well as their pros and cons, further on in this guide. Your passport does not have to be expired already in order for you to renew it. In fact, you can renew at any time! If you’re the neurotic type who still has 18 months left but is already anxious about the deadline, go right ahead and get it over with. However, your passport needs to meet certain criteria for you to be able to renew it with the standard renewal form, DS-82. Be undamaged other than normal "wear and tear." This may sound vague, but as a rule of thumb, your passport can look worn out but shouldn’t have any major tears, unauthorized writing or drawing inside, a non-functional chip, or other severe damage of any kind. If there’s just a small pen mark or a tiny tear on an interior page, you should be fine. If your passport doesn’t meet these requirements, you’ve lost it, or it was issued when you were 15 or younger, you cannot renew and must instead apply in person just like you’re getting a passport for the first time. If you want the standard passport book, which most people get, the fee is $110. The fee for a passport card is $30. If you want both, the total is (you guessed it!) $140. The fee for a passport card may look cheap, but don’t think of it as an alternative to getting a passport book, unless you are only planning to take cruises or drive across the border. Most people aren’t familiar with the passport card or its restrictions. It cannot be used for international air travel. It can be used for domestic travel via air, land or sea (and counts as a Real ID), but is restricted as far as its use outside of that. It can only be used to visit Canada, Mexico, the Caribbean, or Bermuda via land or sea only. If you want to fly to any of those places, you’ll still need a passport book. That said, if you can afford it, it’s highly recommended you get both. It never hurts to have more than 1 valid federal ID in case of an emergency, such as one of them getting lost or stolen. Now, you don’t need to get both at once. However, keep in mind that if you want to get your passport card in the future, you’ll still have to submit your current passport book in order to get it and will not have it available as a travel document for up to 8 weeks (or vice versa, if you start with a card). Every Walmart, CVS, or chain pharmacy will have an automated photo machine or an employee who will take your passport photos for $12-15. However, you can take the exact same photo yourself and print it out for under $1! Or if you want to save a trip to your local pharmacy chain, you can get your photos instantly mailed to you for under $6. Important: Applications are commonly rejected for invalid photos, so be sure to read the guidelines carefully and make sure you compare your photo to the examples on the State Department website. The 2 biggest mistakes are not using a plain white wall for the background, and not removing one’s glasses and/or hat. If you want to take a photo on your smartphone, download the Passport Photo Booth app for iPhone or Android -- it’s free to use. Or, if you already have a photo you want to use on your computer, you can upload it using a free online service. If you want the photo printed out at a chain store like a pharmacy or Walmart immediately for under $1, email the photo to yourself as a 4”x6” print (which is an option you select in app after hitting the email button). When you arrive at the store photo machine be sure to select 4”x6” photo (NOT passport photo) under the printing options. If you instead want to have the prints mailed to your house, you can do so via ePassportPhoto (within a few days) or the Passport Photo Booth app (within 7-10 days) for about $6. 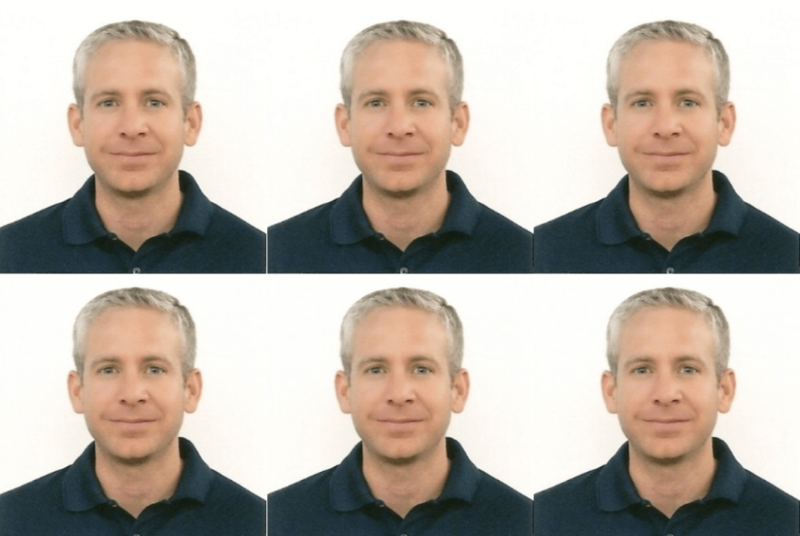 DIY passport photos on a 4”x6” sheet. You only need one photo, but be sure to cut it out carefully! Whether you’re traveling in 48 hours and need a passport ASAP, or have no plans to go anywhere for 6 months, paid passport services can save you significant time and hassle for a fee. 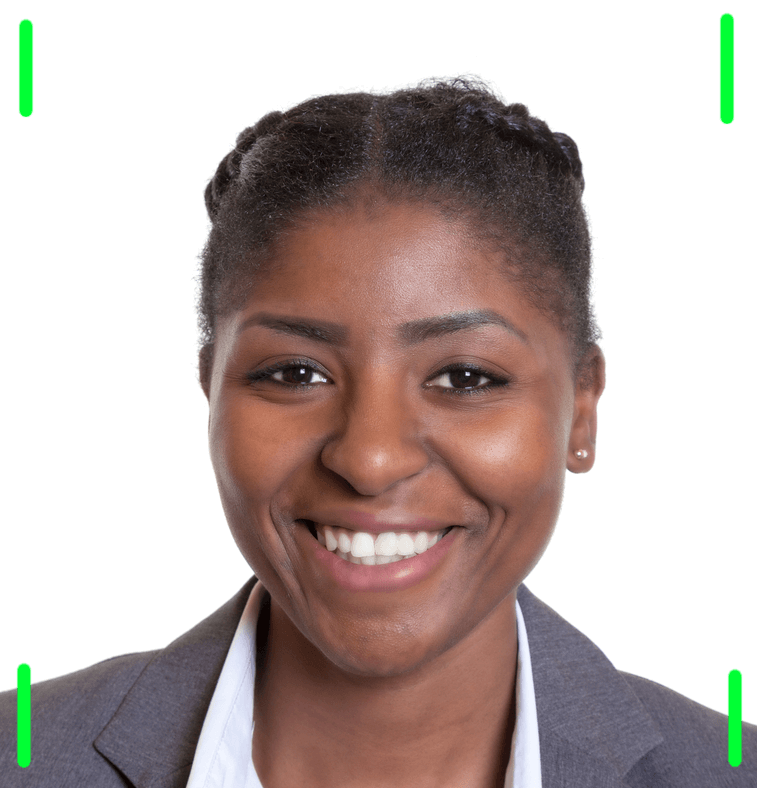 There are several types of paid services, ranging from those which require you to mail your application but can provide amazing 24-hour turnaround times, to those that come to your home or office with all the forms you need to sign and a mobile passport photo booth so you can be done with the entire process in 5 minutes or less. If you live in a city or a larger town, you’ll often have a local passport services store, which you can find on Google by entering your zip code followed by “passports.” At these offices, you bring your passport and apply in person, and then either come back in person to pick up your new passport or receive it by mail. This is the most expensive of the paid options due to the costs of maintaining a physical store, but they can turn around a passport in 24-48 hours if need be. Online passport expeditors (the most popular being RushMyPassport and PassportCenter.com) are established, reputable companies that will turn around your passport as quickly as 24 hours from when they receive your application and do so at a lower cost than many in-person passport services offices. They all use certified mail both ways for maximum security and have responsive online support staff to help you verify your documents are correct. Are you too busy to get to a passport office? Want to handle everything from the comfort of your home? It’s 2019, after all, so of course there’s an app for that, it will just cost you a bit more. Passport concierge services such as YoGov’s may not support the tight 24-hour turnaround times that other paid services do, but by bringing everything required to your home or office including printed forms and a mobile photo booth, they allow you to renew your passport without lifting a finger. A Passport Concierge will also review your forms in person to verify correctness. If you are eligible to renew your passport, and you aren’t flying in the next few weeks, then you must renew by mail by USPS only (no UPS, FedEx, etc.). The State Department has a standard passport renewal turnaround time of 4-6 weeks door-to-door -- and I’ve heard a number of people tell me they received theirs even faster -- but you should add a week to that timeframe for breathing room and peace of mind. Important: Many people don’t realize that the US State Department does not accept passport renewals from 3rd party shipping companies. Be sure to mail your document using the United States Postal Service only. If you use UPS, FedEx, DHL, or another company to send your application, it will be returned to you. If you travel abroad frequently, you should opt for the larger passport book (that is, one with more pages), as there’s no additional fee. On form DS-82, check the box at the top of the page that says, "52-Page Book (Non-Standard)." 1 valid passport photo stapled to the DS-82 form. Passports are commonly rejected for invalid photos, so be sure to read the guidelines carefully; we’ll tell you how to get photos further down in the article! By mail, you must include a check (personal, certified, cashier's, traveler's) or money order payable to "U.S. Department of State"
A passport is a sensitive document, as is your DS-82 form, and you’ll want to mail your application securely and protect it from the elements. We recommend a Tyvek or bubble wrap envelope, both of which are sold at your local post office. Be sure to use an envelope large enough to fit the application without folding it. You should also be sure to use a traceable delivery method that can deliver to P.O. Box addresses, as this will minimize the risk of your documents getting lost. USPS Certified Mail and USPS Registered Mail are also forms of traceable mail, but can take longer to reach the renewal processing center than the methods above. Are you renewing for more than 1 person? If you are renewing for multiple people, send a separate application mailing for each. Important: Expedited renewals must go to a different P.O. Box, so only use the above addresses for standard processing times. More on expedited renewals in the next section. As for your old passport? You'll get it back! Your passport and any applicable name change document will be returned to you in a separate mailing from your new passport. If you’re traveling in 7 weeks or less, you’ll want to expedite your renewal for peace of mind. If you’re traveling within 3-4 weeks, overnighting your application via Express Mail and then opting for the Express Mail return method by adding $16.48 to your government fee is not required but highly recommended. You should be completely fine either way, but if you can afford the extra fee you’ll have additional peace of mind. If you’re traveling in 3 weeks or less, you’ll need to renew your passport in person at your closest Regional Passport Agency. (You may also use a paid passport renewal service, which was discussed in a section above. They can save you hours as it won’t require you to travel to the passport agency in person, but you’ll be paying an additional fee of $90-$300 depending on the turnaround time you need). In order to visit a Regional Passport Agency, you’ll need to make an appointment online or via phone. Note that you’ll have to make 2 visits: one to drop off your passport application, and another to pick up your new passport. Important: the date of your appointment must be within 2 weeks of your travel date (or 4 weeks if you will be required to get a travel visa for your destination too). So, for example, if you are traveling in 20 days, you should make your appointment at the Passport Agency on a date that is 14 days or less from your anticipated travel date. It may be stressful to wait until the 14-day mark to visit the agency, but so long as you are eligible for renewal you will be just fine. So long as your travel date is at least 2-3 days from your appointment, you should be able to get your passport renewed in time with no issue. If your travel is even sooner, be sure to call the Passport Information hotline to ensure you can get your renewal processed in time. If you haven’t yet booked travel because you’re not comfortable doing so before you visit the US Passport Agency, don't fret! We have a little secret tip to share: you can make a payment-free hotel reservation at your destination using Booking.com. You will not even be required to add a credit card. Then, once your passport is processing or issued, you can cancel or modify the hotel reservation in less than 30 seconds if you wish and finalize your desired travel plans! If you have a sick relative, a death in the family, or any other life or death emergency, you can get a passport renewal immediately without waiting for an appointment so long as you can provide proof of the emergency, such as a signed letter from a hospital. Do not make an appointment online in this case; immediately call the Passport Information hotline for assistance instead. There is no single right way to renew your passport; doing so by mail is cheaper but more work, and doing so using one of the newer online services available is effortless but often pricey. 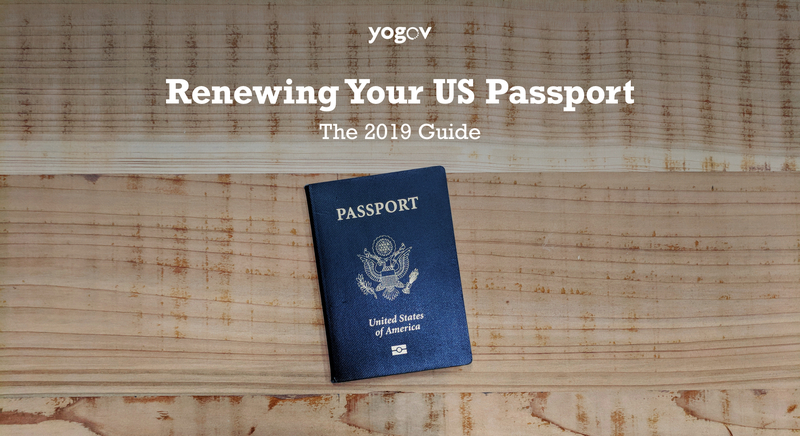 Whether you choose to renew by yourself via mail and save money, or take our Uber-for-passport-renewals service for a spin, we hope that you've found this guide to be an exhaustive overview of each option and that you're now armed with tips, tricks, and information to fearlessly renew your passport, and assist with those of your friends and family.